Functional Electrical Stimulation (FES) is a procedure where an electrical current is applied to peripheral nerves that control specific muscles or muscle groups. This action can be used to restore or improve function. Generally FES is used for exercise and for rehabilitation. 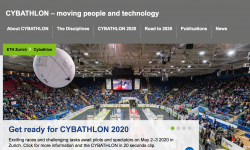 In May 2020, the second edition of the championship for racing pilots with disabilities using advanced assistive devices will be organized in Zurich: the Cybathlon. 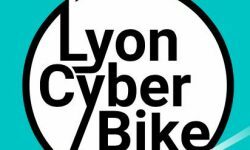 We will participate to the FES cycling discipline. FreeWheels project is a scientific and technological collaboration towards an instrumented trike solution to allow a spinal cord injured individual to practice outdoor FES assisted cycling. Numerous health benefits could follow from FES cycling, such as cardiovascular health, muscle strength, bone density, risk of pressure sores, deep vein thrombosis, and last but not least, well-being. 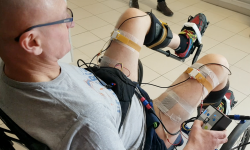 Using a wireless electrical stimulator and various sensors located on the pilot and the bike, we will be able to adapt stimulation patterns regarding the force needed and the pedaling cycle. 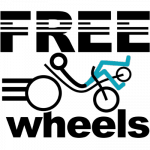 Freewheels is a team composed of one pilot, Researchers, Clinical experts and partners working together to participate in Cybathlon competiton. Jérôme tested the new IMU-based controller. Instead of crank sensor, information from the leg orientation is processed in order to pilot quadriceps electrical stimulation. 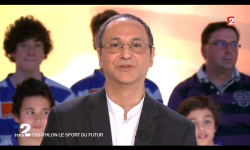 A movie from INRIA reporting on our preparation to Cybathlon! French Version is also available on YouTube InriaChannel.